Phew! We made it to Friday! I am doing this a little differently than usual. I am blessed to live in San Diego for many reasons, one of which is the fine craft beer industry we have here. And the breweries have been so generous with their donations, that I want to highlight my favorite beer from each place! As you may know, Sunday is our big Annual Fundraiser for Epilepsy at Urge Gastropub. If you are local to San Diego, please join us. It will be a BLAST! If you aren't and feel compelled to donate or even read our Epilepsy story, check this out! AleSmith is a quintessential San Diego beer. Heavy on the hops and easy to taste. My favorite beer by far from AleSmith is their Evil Dead Red. It comes out at Halloween time and is a really hoppy red! They were super generous with us this year and donated a huge basket! 2. Second Chance Beer Co. 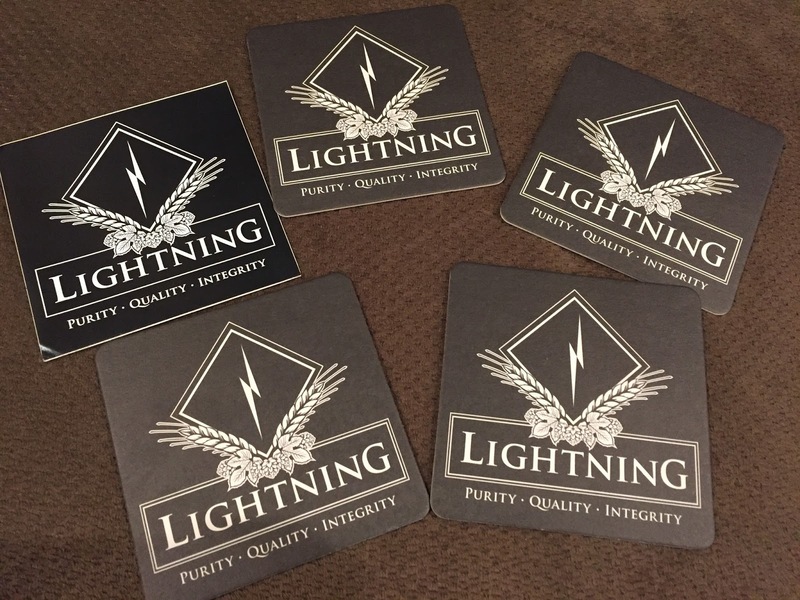 This is a brand new brewery to open up in San Diego but they are not new to beer. Marty, co-founder of Second Chance is the brewer behind the rise of Rock Bottom Brewery. He left and started his own with business partner, Curtis! Awesome people with awesome beer! My favorite beer there is a Coconut Porter called CoCo RASA. Ingredients include toasted coconut, cocoa nibs and vanilla beans. YES PLEASE! The second biggest brewery to come out of San Diego is Ballast Point. They are famous for Sculpin - all kinds. Pineapple to habanero! But they are also super generous and donated prizes to the Raffle! 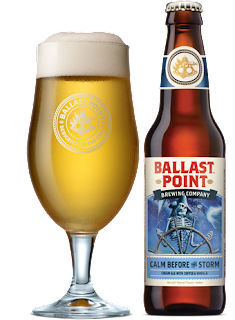 My favorite Ballast Point beer (this is a tough one, they so many good ones) is Calm before the Storm. It is described as "a punch of flavor using cold brewed Caffé Calabria coffee and a hint of vanilla. But this time, we added it to a lighter-bodied golden cream ale." Delicious right??? Societe Brewing company is a smaller but getting bigger brewery in San Diego. It is tucked away in a little shopping center in the Clairemont area of San Diego. They have a super cute logo and a Western outlaw theme. My favorite beer there is a Belgian Ale named "The Debutante." 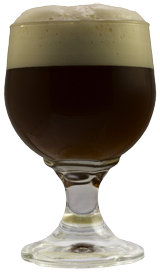 They describe it as "a Belgian ale, amber in color and heavily aromatic. The aroma delivers notes of allspice and nutmeg mixed with a touch of caramel. 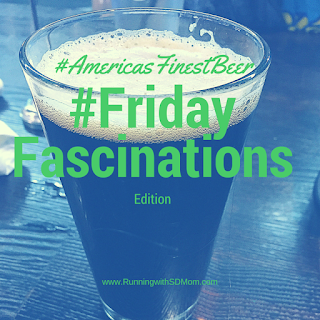 The beer has a light-medium body, but finishes dry and smooth with flavors of caramel and toasted sugar notes in the finish." Ironically, the first time I tasted Lightning was at Stone. I kept ordering the Lightning Thunderweizen at Stone until I learned that they were located minutes from my house! SCORE! They were super generous this year too! It is their first year participating as a Serena's Crusaders supporter but they have come thru BIG TIME! 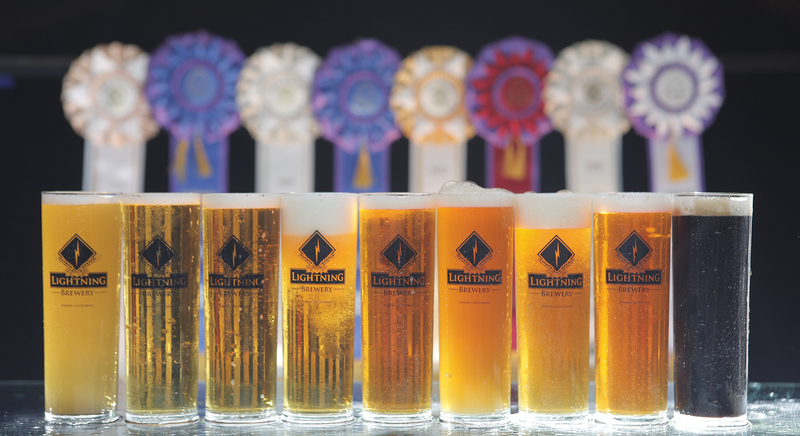 Okay, my favorite beer at Lightning is the Thunderweizen - a classic Hefeweizen. But Smitha...aren't you allergic to wheat? Sadly, yes. No more Thunder for me. So next up on my favorites list is the Black Lightning Porter with, you guessed it, hints of coffee and chocolate! Well there you have it! 5 of the most generous and wonderful and DELICIOUS breweries in San Diego and my favorite beer from each location! We are truly lucky to be around so much good beer! It is no wonder that #AmericasFinestCity has #AmericasFinestBeer! Locals, hope you can join us. Now your turn friends, do you drink beer? If not, why not? If yes, what is your favorite? I am not a beer drinker but the hubby is! Good luck with the event- looks like tons of fun! This all sound delicious! How awesome that they're all a part of your fundraiser. I hope it's a great success!! I like beer but I'm no connoisseur by any stretch. I'll drink coors and think it's good, ha ha. I don't drink beer but you made it sound yummy ! Those sound great! I enjoy a cold one on occasion. I like Lawnmower from St. Arnold's Brewery here in Houston, or Boulevard Pale Ale from Boulevard Brewery in KC. A good friend of mine just moved to San Diego. I've never been there & can't wait to visit! I drink beer occasionally but I don't like most types - only stouts and porters for me. I am not a beer drinker either but you make it look fun! I don't drink beer either so I have never been to a brewery. Good luck at the fundraiser!